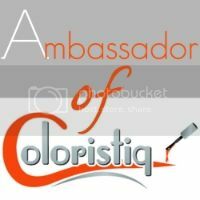 One of the great things about being a beauty blogger is that I get to find out about and try things from brands I might never have otherwise heard about. Even better is that I get to share them with you! I want to introduce you to Makeup Rumours, a website that "seeks out the latest beauty rumours and makeup trends, to give you cosmetic reviews, tutorials, tips and secrets!" 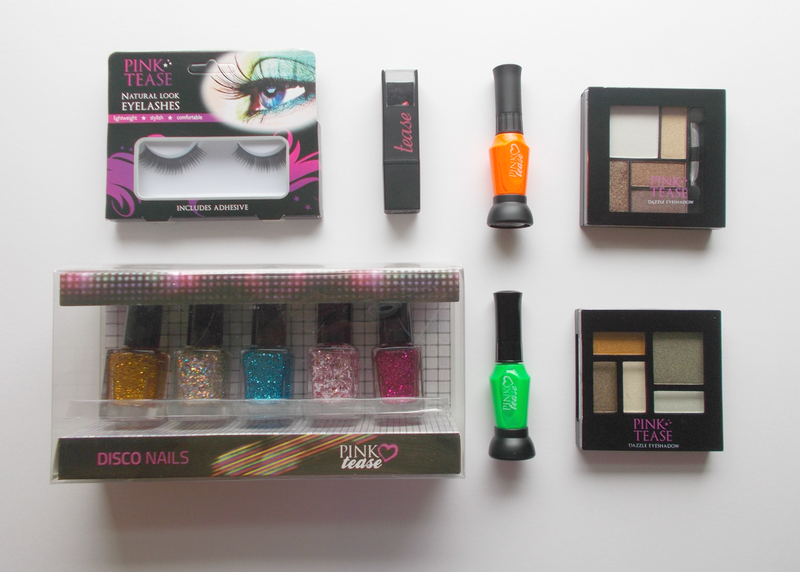 They also have a shop where they sell extremely affordable makeup, all branded Pink Tease. Makeup Rumours were kind enough to give me a £10 voucher to spend in their shop and here's what I ordered . . . The first thing that went straight into my basket was this little set of glitter nail polishes. 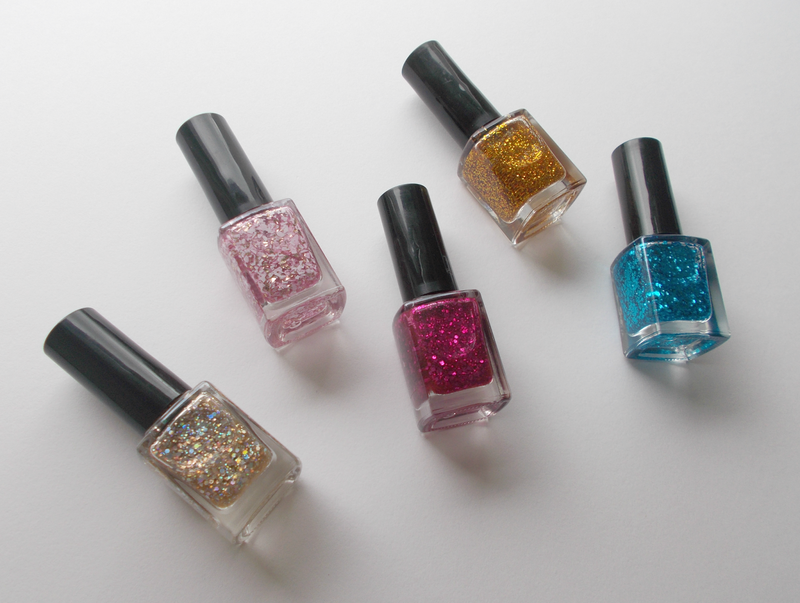 As you can see, in the bottles they're gorgeous but believe me they're even better once you get them on your nails! You get 5 polishes for just £4 - that equates to less than a pound per polish. 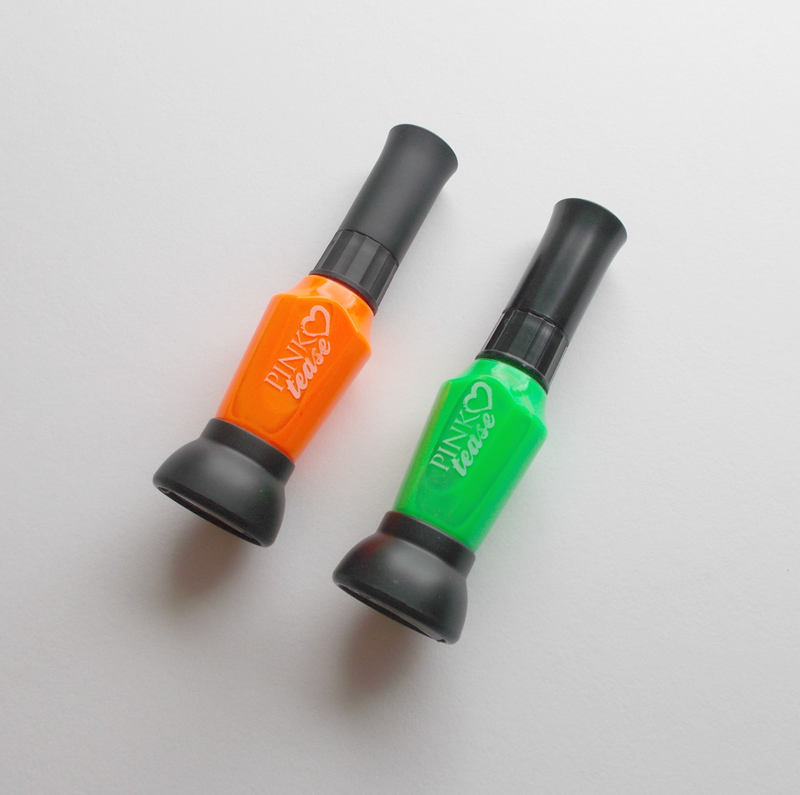 What's more, you get a whopping 12ml of product! 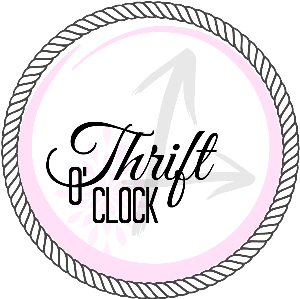 I'm going to be doing a post on these individually so make sure you don't miss those swatches by pressing that GFC or Bloglovin' button! After really loving the Rio Nail Art Pens, I couldn't wait to get my paws on some more! 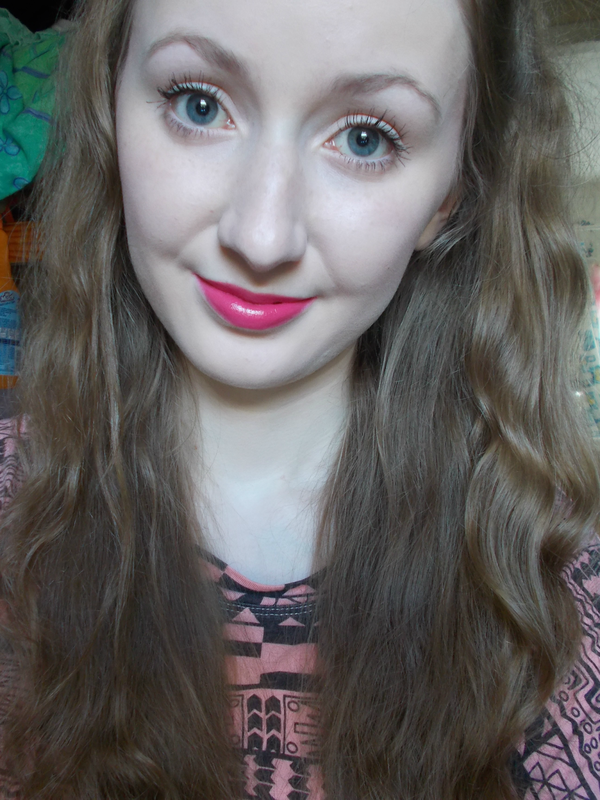 So when I saw Makeup Rumours had their own I knew I had to try them. Orange and green are two colours I'm slightly lacking in my polish collection so those are the ones I chose and boy are they bright! The photo doesn't even do them a smidgen of justice, they're full on neon and I love them. I just know they'll come in so handy for nail art. They did arrive a little leaky in the bottle but a wee wipe sorted them out no problem and hey, £1.50 each ain't bad? I can never say no to a lipstick and so Shade 5 landed in my basket! First off, the packaging is quite different to what I've come across before; matte black and cuboid in shape with a clear window so you can see what colour is inside. Not exactly Chanel, but it's unique and you know what? I like it. The lipstick itself really impressed me. Dare I compare it to MAC? Heck yes I do - it reminded me of Viva Glam Nicki so I swatched both side by side only to find Shade 5 was less matte, more sheen and slightly darker in shade but other than that, fairly similar! On application it's very soft on the lips and packed with pigment. They have an amazing shade range full of brights, nudes, reds, pinks, purples and if they're all as nice as Shade 5 I really regret not getting more! 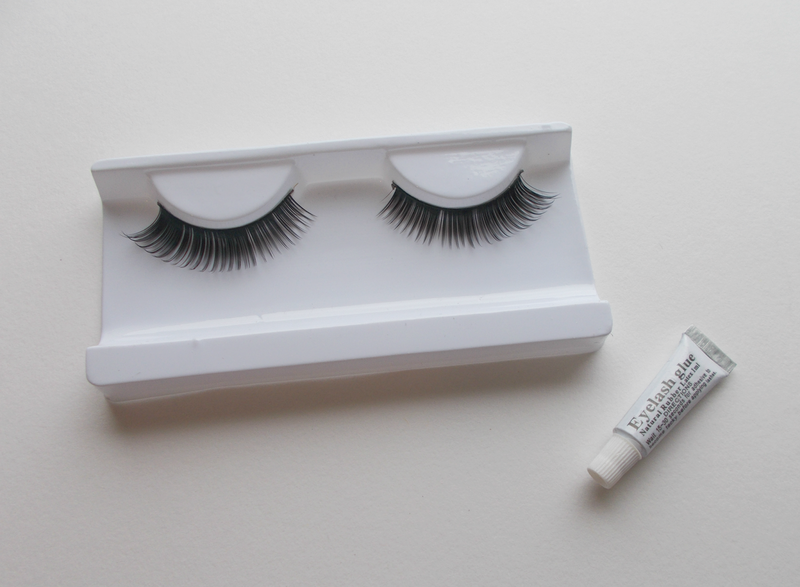 This is the first time I've ever bought eyelashes! My natural lashes are quite long as they are but I've been dabbling with the idea of wearing falsies to my formal in October. I didn't want to spend a fortune just trying them out so I thought what better to experiment with than this £1 pair! I'm no lash expert but these look like just what I'm after - plenty of volume and slightly longer on the outer corner, but I do think I'll have to trim the inside corner. I saved the best til last. I was originally only gonna pick up the brown palette on the left but then I thought, you know what? I'm in a bit of a brown shadow rut. 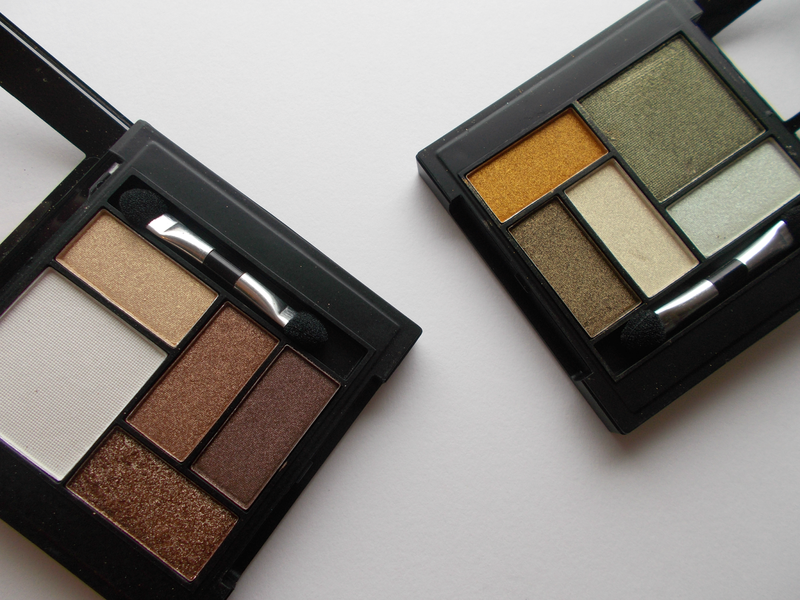 I've been lusting after far too many neutral palettes but really, how many does a girl need? 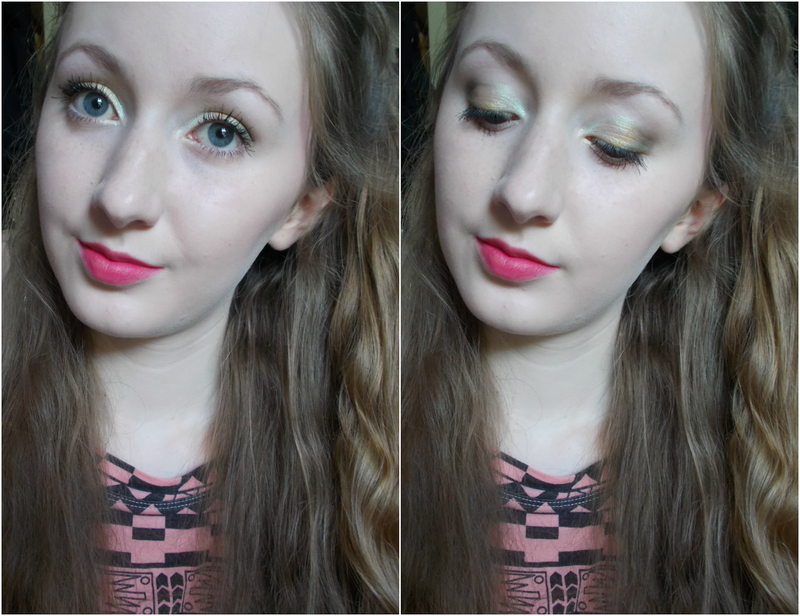 Stepping slightly out of my comfort zone, I chose the green/gold palette not expecting to like but but in fact, I love it! The shades are surprisingly wearable and they've given me the confidence to go a little more daring with my eye makeup. The only downside is they're a nightmare to get open! I don't know if it's just my two palettes but they just don't seem to want to open. Eventually, after sore hands and a lot of time wasted, I figured out the best way is to prise them open with a pair of scissors but no one wants to be doing that every time they want to put on some eyeshadow! Summed up, they're soft and very pigmented (apart from the large white square, that one's a bit of a dud) and all beautifully shimmery (apart from the white one again, a bit of a pointless shade in my opinion!). Given that these are such good quality I think it's absolutely mind blowing that these cost a mere £1 each! Here are two eye looks I created with the palettes. Also, my lip colour here is the Pink Tease lipstick simply blotted down to a matte finish and as you can see it retains it's pigmentation making it a really versatile, whether you prefer a creamy sheen or more of a stain. 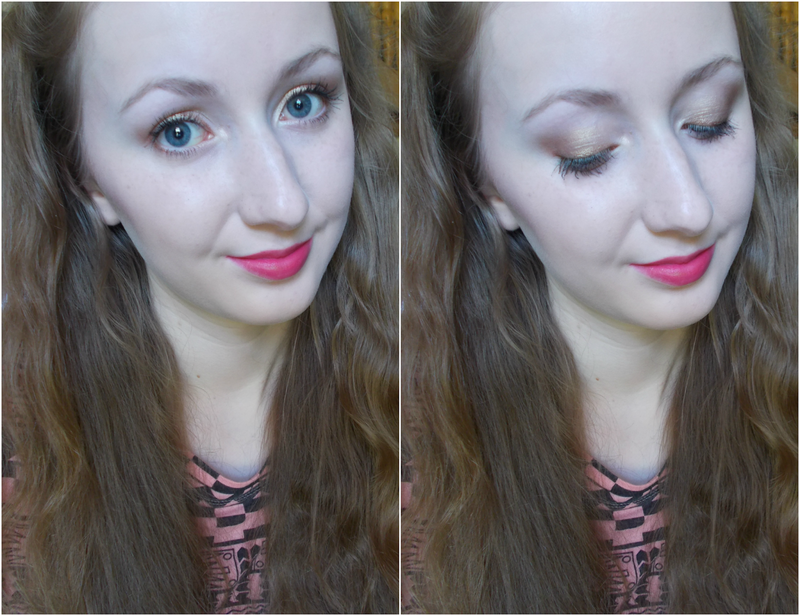 Overall, I'm really impressed with Pink Tease makeup, a lot more than I was expecting to be! I think I might have to make another cheeky order sometime soon . 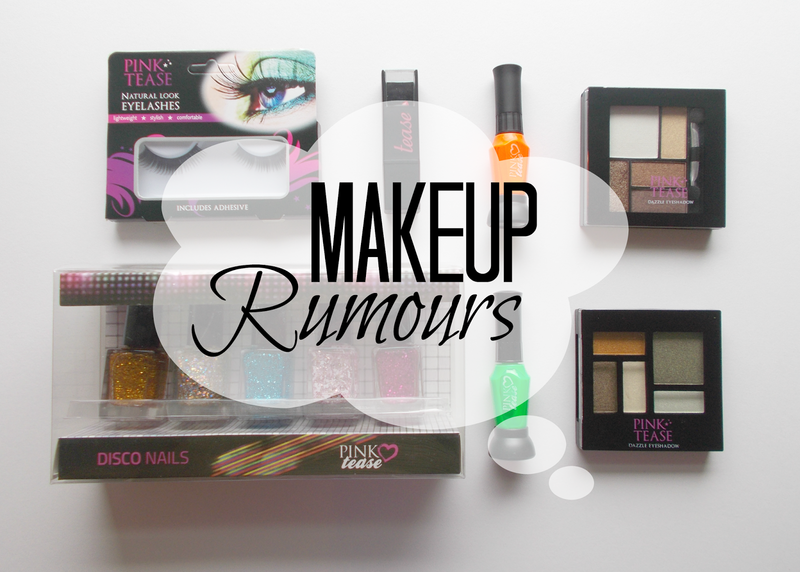 . .
Would you like to try anything from Makeup Rumours? Which budget makeup brands are your favourites? The products in this post were in part paid for with a voucher given to me and in part my own money, but that doesn't affect what I think about them. All opinions are honest and my own as always.